And hope you guyz like my mission. And don't forget to rate my missions. And also leave your feedback. And if you see any of my mistakes in the missions, Please tell them in the comments. Here is a link to my GTAForums Profile. These are the projects I am working there days. Stay tuned, they will be released soon. The streets of the Los Santos are ruled by gangs. Gang Wars can be seen on daily bases. The most Popular gangs are Grove Street Families, Rollin` Heights Ballas and Los Santos Vagos. Ganton is the Grove Street territory and their main place. David, the protagonist of the story, is 18 year-old boy who lives in Ganton. He became part in GSF gang. David however, don`t like this gang stuff. He has a friend, Mark, who is also involved in gang work. Mark is a drug dealer but he is warned by Sweet multiple times. Now he is forbidden to do drug dealing. But Mark never listens Sweet and he always continues the bad work. David however is not like him. David is a loyal person. And he never betrays his gang. But still because of misunderstanding, he gets kicked from the gang. Now he makes his way throughout the city. This story happens 2 years before Carl returned from Liberty City. More Missions are coming soon. Yeah, you add me to your respect list, thanks. Thank you Jhandave. If I will have any problems I will comment on your profile. 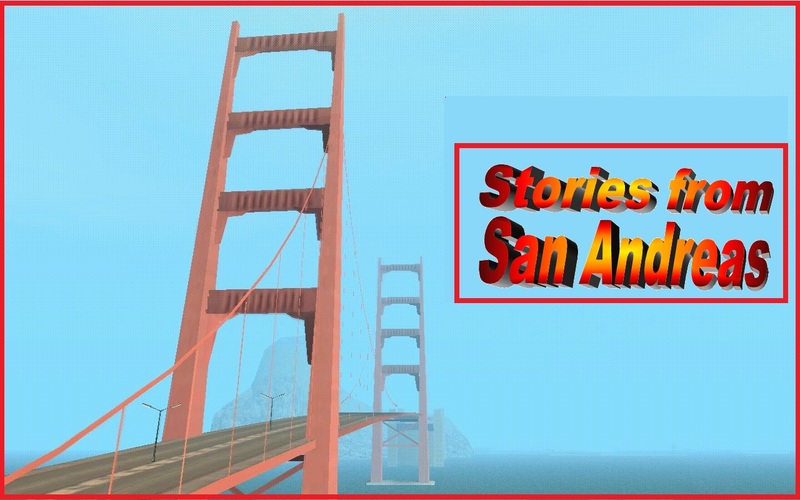 So I decide to give my new story stories from san andreas in parts.